What's Your E3 Dream Announcement? 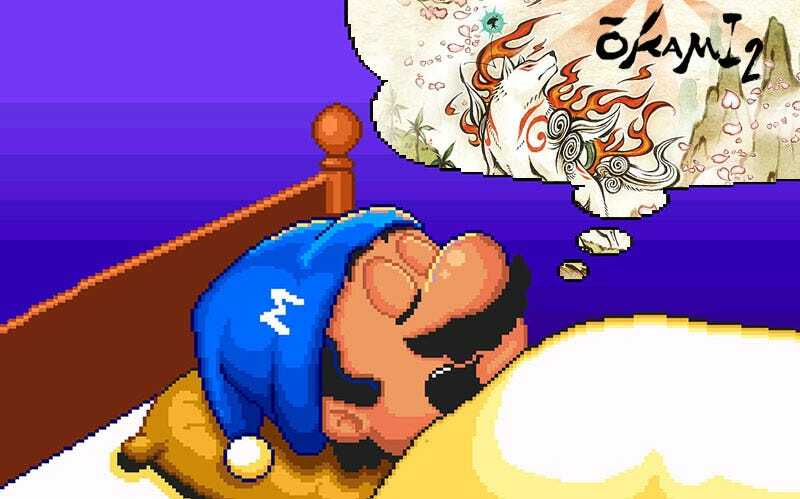 With E3 less than a week away it’s hard to stop one’s mind from fantasizing about what lies in store. Every major developer and publisher probably has a surprise up their sleeve, but what’s the one E3 announcement you’ve always dreamed of? Will we finally see the reveal of a true Metroid title? Federation Force didn’t count. What games will Microsoft unveil alongside their souped up Project Scorpio? Gears of Halo Horizons 2, probably. Will Sony actually acknowledge the Vita’s existence? Doubtful. Personally, I’m hoping for two announcements. The first being a true console sequel to Okami. Though Okamiden for the DS was decent, it just didn’t capture the grandeur of the original. Then again, seeing how Capcom treats Mega Man I’ll be lucky if they even announce Amaterasu for the upcoming Marvel vs. Capcom: Infinity roster. Secondly, and on a much more realistic note, I want Nintendo to announce a new Animal Crossing game for the Switch. I mean, come on. That system is perfect for Animal Crossing, and we haven’t gotten a main series entry in five years. We’re about due for some new friendly animal neighbors and fishing tournaments. Actually... why not just announce a new Animal Crossing where Amaterasu from Okami is your neighbor? BAM! Two birds with one stone. Genius. What’s YOUR E3 dream announcement? Shout out in the comments below and let us know. Feel free to share more than one if you’re just bursting with good ideas.